Fully AHA 2010 Guidelines Compliant! When sudden cardiac arrest occurs, the fact is that only half of the victims will need a shock. But all will require cardiopulmonary resuscitation (CPR). 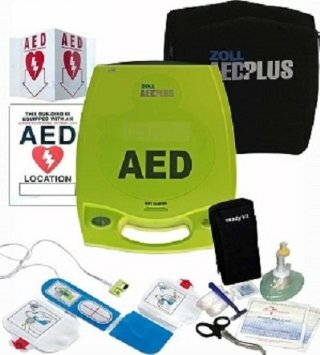 Contact us today to find out more and purchase your Zoll AED Plus.